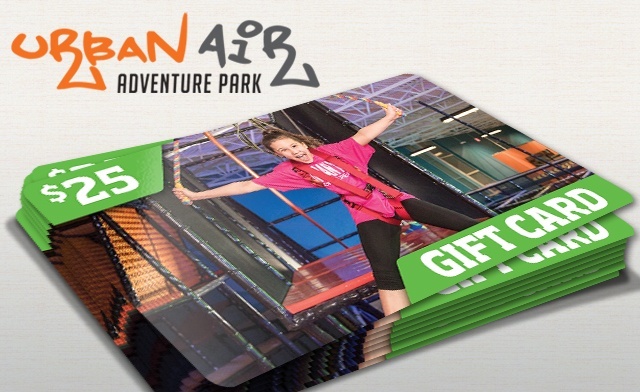 If you’re looking for the best year-round indoor amusements in the Hurst, Euless and Bedford areas, Urban Air Trampoline & Adventure park is the perfect place. With new adventures behind every corner, this is the ultimate indoor playground for your entire family. Test your skills in the Warrior Obstacle Course, ride the Sky Rider indoor coaster, compete with friends on the ropes course or climbing wall, or practice your own tricks freestyle. No matter how you choose to play, you can take it to the next level at Urban Air. Test your skills in the Warrior Obstacle Course and ride the Sky Rider indoor coaster. Compete with friends on the ropes course or climbing wall, or practice your own tricks freestyle. Valid only at the Bedford location. Gift Card(s) will be mailed within 5 business days.